A new shape to Star Wars! Feed your fuzzy Fett fetish! He'll be the most feared bounty hunter in your toy box or on your bed! 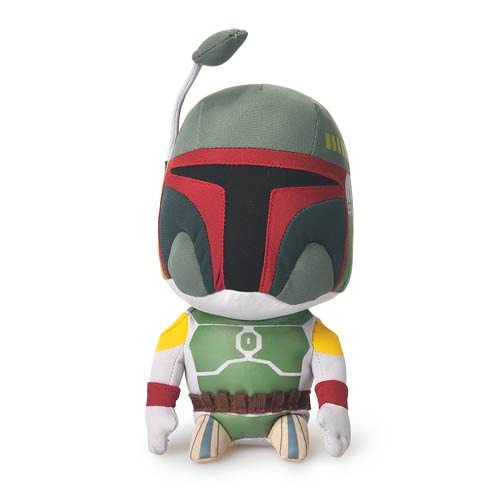 This 7-inch Boba Fett Super Deformed Plush has large, cartoon-like features. Cuddly and entertaining, he brings out the softer side of Vader's nefarious hired hands. Conquer your fears and feed your fuzzy Fett fetish by fetching him home today!